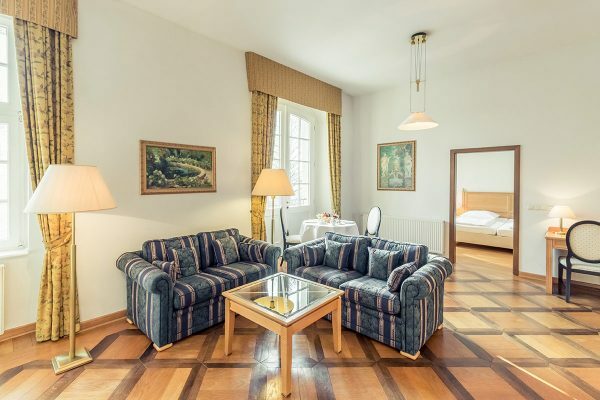 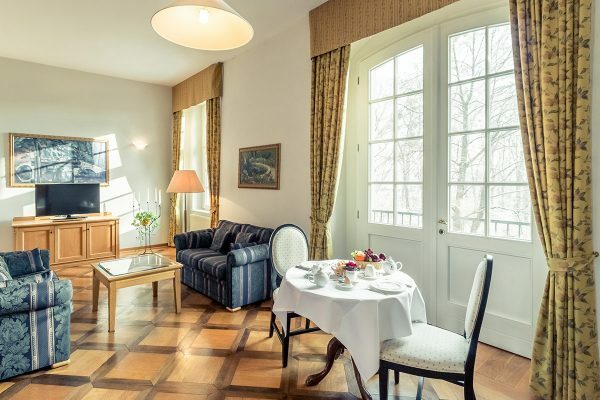 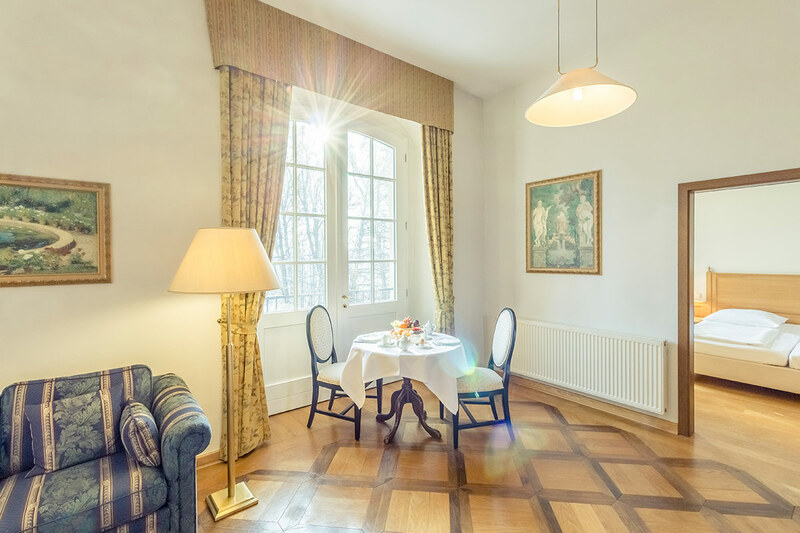 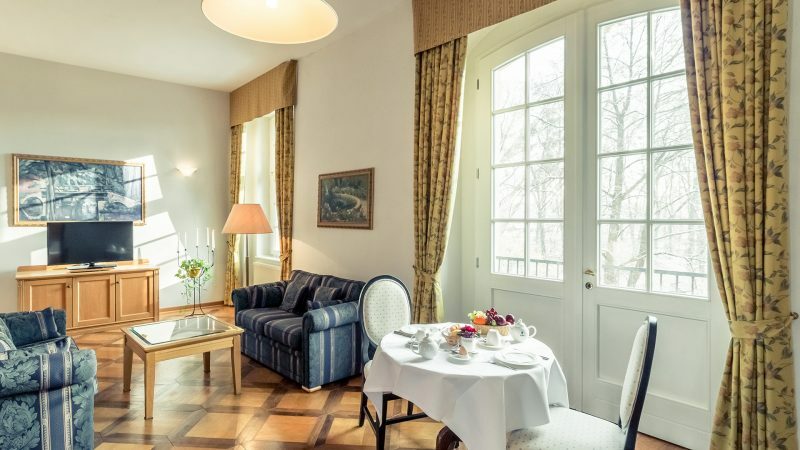 The Royal Suite of the Hotel Schloss Neustadt-Glewe convinces with its size and its particularly comfortable equipment. In addition to the spacious seating area with flatscreen TV, the living area also has a dining area, desk and a private bar. 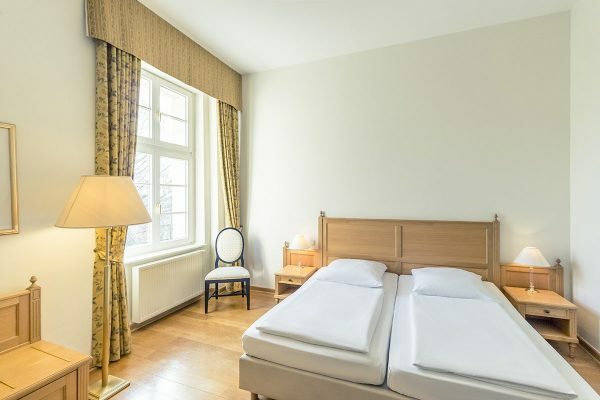 The bedroom has a queen size bed and another flat screen TV. 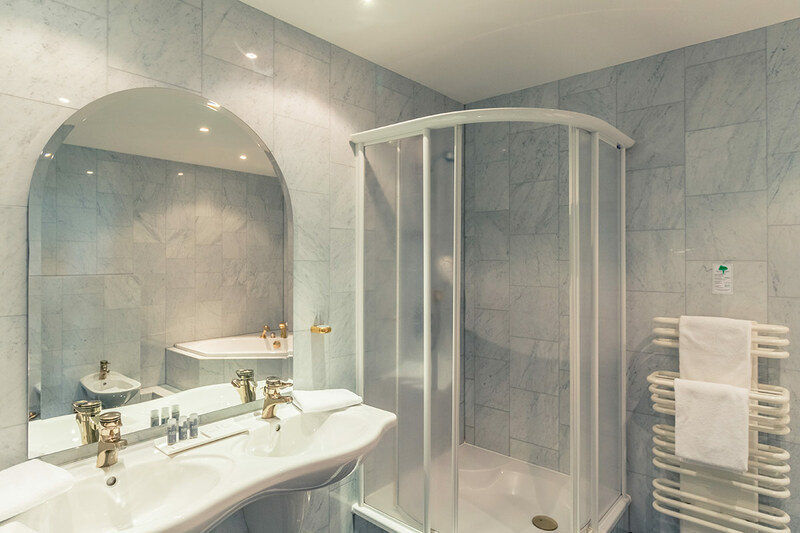 In addition to the main bathroom with corner bathtub, shower, double sink, bidet, towel heater and high quality toiletries, there is a separate bathroom for guests. 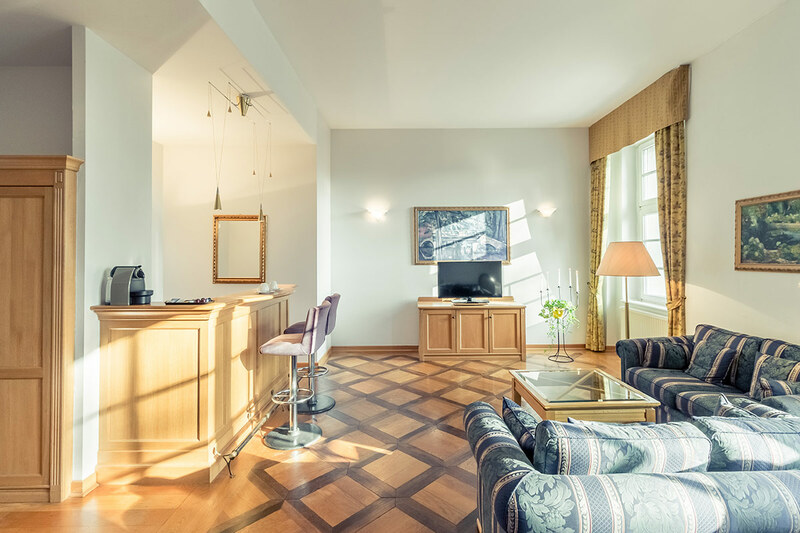 A Nespresso machine is also at your disposal. 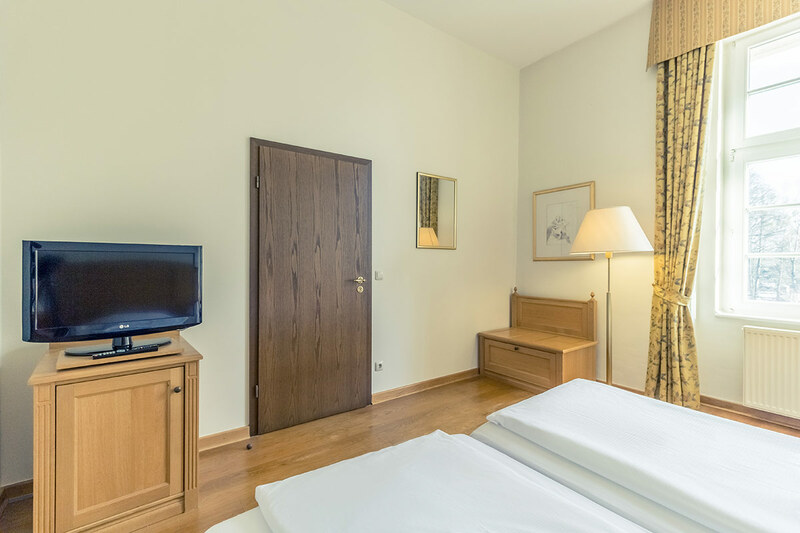 This suite is located on the first floor and is accessible by elevator.